Reduce Alcohol Abuse with Hypnosis NJ – Is Hypnosis for Alcohol Addiction Useful? Alcohol abuse is an addiction that destroys the families, health, and lives of those it controls. According to the National Institute on Alcohol Abuse and Alcoholism (NIH) website, a 2015 survey found that more than a quarter of the adult population engages in binge drinking and 7% of adults engage in heavy drinking. You are not alone. If you are struggling with an addiction to alcohol and have not been able to stop on your own, hypnosis may be the answer. You can try hypnosis for alcoholism. 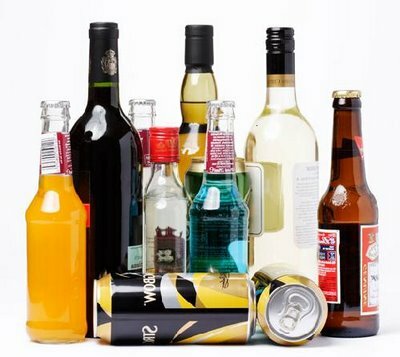 Daniel Rose and the knowledgeable team at Advanced Care Hypnosis can help you give up alcohol, once and for all, with as little as one session. Traditional methods to deal with alcoholism can be effective in the short term, but often fail as time goes on. This is because they do not access the feelings and thoughts that drive the need to self-medicate with a drink and replace them with positive suggestions that will lead your life in a better direction. The causes of alcohol abuse are numerous, from the need to please those around you as a social drinker does, to the desire to escape some past or present pain. Understanding the cause of your drinking is important for conquering it. This is where hypnotherapy for alcohol is especially effective. During your alcohol hypnosis session, you will be guided into an open-minded state that will make your subconscious accessible and amenable to influence. With the help of a trained hypnotherapist, you can discover the triggers that push you to drink alcohol to excess and replace them with positive thoughts. You can also be influenced to associate drinking alcohol with something that is unpleasant or uncomfortable, thereby reducing the risk of falling off the wagon. A study published by the American Psychological Association found that those who used self-hypnosis recorded high levels of self-esteem and less relapses. Alcohol abuse often has its roots in fear, anxiety, hopelessness, and lack of confidence. Hypnosis is the perfect counteraction to these feelings, as it is based on hope and positivity. It is a technique that takes the focus off of the problem and puts it on the solution. If you can visualize the way you want your life to be, your brain will work to make it happen. So picture the life you want, how you plan to live once alcohol no longer controls you, and you will begin the process to making that life a reality. Hypnosis can have an amazing effect on your life, giving you the impetus to live a healthier, happier, and more satisfying life, distanced from the pain and negativity that has driven you toward alcohol addiction in the past. It can be a freeing and exciting way to live. So, if you are ready for a change that will give you back your life and make it better than you ever thought possible, let hypnosis to quit drinking by a trained professional help you reach that goal. Advanced Care Hypnosis is run by Daniel Rose, who has over thirty years of experience helping those struggling with addiction find the peace and serenity that they deserve. He and his staff will care for you with compassion and dignity, helping you through the process and teaching you what you need to know to take the changes that you initiate together into your everyday life. The changes that you will make at Advanced Care Hypnosis will stay with you for years to come, protecting you from relapse, and providing the mindset needed to live your best life. Enjoy the results of your hypnosis alcohol treatment and the positive changes it will make on your relationships, work, and health.